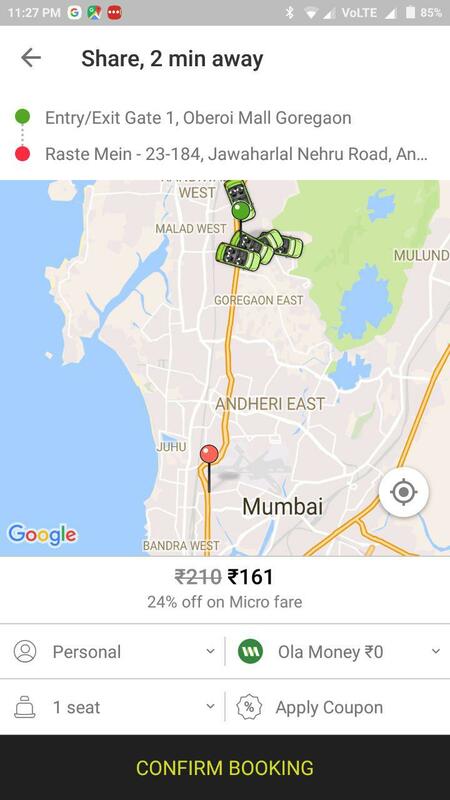 Both Ola Share and Ola Share Express have an option to book 2 seats instead of 1. You can’t book more than 2 passengers in Ola Share though (of course 😛 ). The price of Ola share 2 seats is hardly Rs. 10 to 25 more than single seat booking. At times there is no difference. Once you have booked 1 seat, you can’t change to 2. Only option is to cancel and rebook. 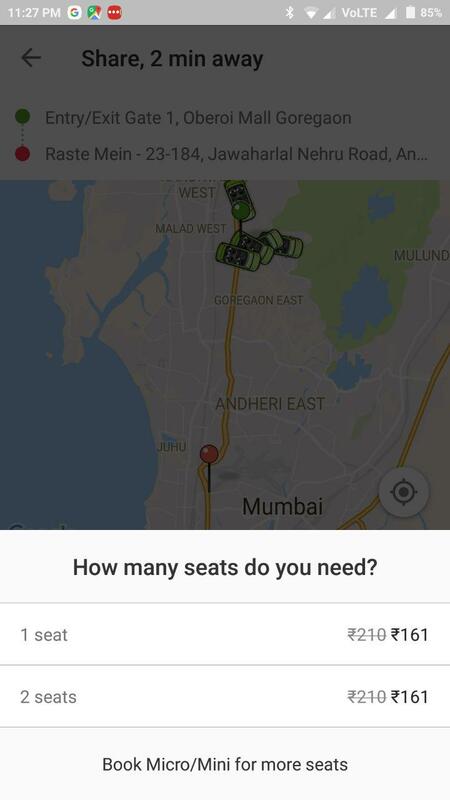 How to book 2 seats on Ola Share? Open Ola App. Select Ola Share. Enter pick up and destination points. Click on Ride Now. Now, in the next screen, before you hit confirm, look for ‘seats 1’. Change that to 2 and book.